Credit cards have grown from a status symbol for a chosen few to being part of most American households. Credit cards have gone from being a gimmick just a few decades back to being a major part of Americans' financial lives. General purpose credit cards such as Visa, MasterCard and Discover can be found in 70.2 percent of all American households, according to the U.S. Census Bureau. The Census Bureau estimates 183 million Americans have credit cards. Of those Americans, 104 million have Visa cards, 83 million have MasterCard, 99 million have a store card, 56 million have an oil company card, and 36 million have an American Express card. There are 1.27 billion cards in use. In general, the older you are the more likely it is that you have at least one general purpose credit card. 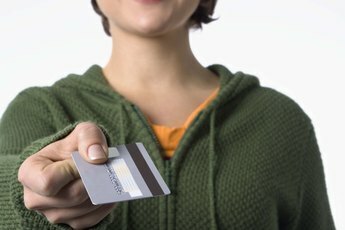 Of Americans 35 and younger, 58.9 percent hold credit cards. The percentages gradually go up through the 65 to 74 age bracket, in which 79.5 percent hold credit cards. After 75, the percentage dips to 66 percent. The Federal Reserve Bank of Boston recounts that credit cards actually began as a gimmick in the early part of the 20th century to give favored guests a symbol of their status over the cash-paying guests. Retailers and oil companies started issuing their own cards in the 1920s. In 1949 a new form of credit card emerged with the Diners Club card. Diners Club had signed up hotels and restaurants to participate in its credit card plan, and it then issued cards to creditworthy people who were willing to pay a yearly fee for the convenience. 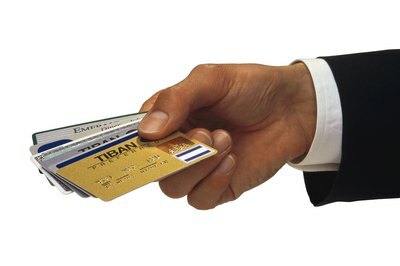 As late as 1970 only 16 percent of Americans had credit cards, according to the Federal Reserve. Retailers, initially reluctant to embrace cards other than their own, soon realized credit cards made it easier for customers to buy their goods. 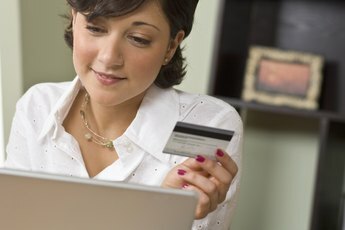 Technology -- improved telecommunications and computers -- gave banks and merchants the tools needed to handle credit card actions, according the Federal Reserve. 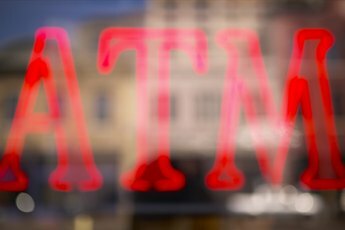 Now, there are nearly 740 financial institutions issuing cards, generating $56 billion in annual revenue, according to the Census Bureau. The future of credit cards is unclear with the emergence of mobile banking The “mobile wallet” is the way of the future, according to a study by Elon University’s Imagining the Internet Center and the Pew Research Center’s Internet & American Life Project. In a survey, the study found 65 percent of respondents believe there will be widespread adoption of mobile banking by 2020. Few of those respondents, however, believe that credit cards will disappear entirely. The changeover will be slow because of resistance from those with a financial stake in the existing payment structure, the study found. What Does the Sony Corp. Own?